We are dealing into Plasma Freezer. The purpose of a plasma freezer is to provide a maintained freezing temperature -30°C or -40°C for safe storage of fresh frozen plasma, red cells, cryoprecipitate. - M.S. Powder coated solid outer cabinet to prevent corrosion with texture painting. - Inner cabinet made of stainless steel 304 grade with mirror finishing. 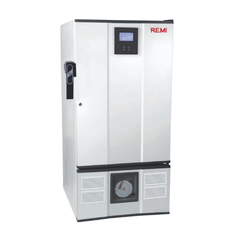 - Heavy duty hermitically sealed compressor air cooled refrigeration system with electronic time delay to safeguard the compressor. - Refrigerant will be CFC & HCFC free. Blood Plasma FreezersBL models are our top products. Each blood bank freezers features thick housing insulation and innovations as standard equipment. They are compliant with the DIN 58375 standard. Tecsonic provides an ideal freezing environment for the preservation of plasma, and test samples . 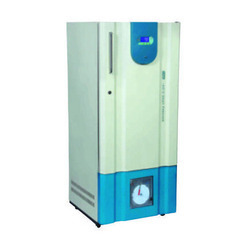 This unit designed to maintain a stable and uniform temperature of up to -35. 0°c, (-40. 0°c in ac room) vertical and horizontal with four different sizes. The user-friendly design includes a built-in stainless steel insulated inner door, and simple calibration is possible via the control panel.